Impulse workout reduces your body fat, builds up your muscles, increases your strength & stamina, shapes your body fast and is gentle on your joints. You train 90% of your muscles simultaneously. This leads to up to 50,183 muscle contractions. You balance out the muscular system – all your 650 muscles are trained in 1 session! 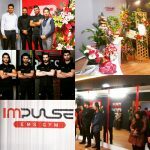 Impulse Studios has fitness centers in Germany, Malaysia, Turkey, China, Iran and Oman. We conducted over 250,000 Personal Training. © Impulse Studio 2019. All rights reserved.